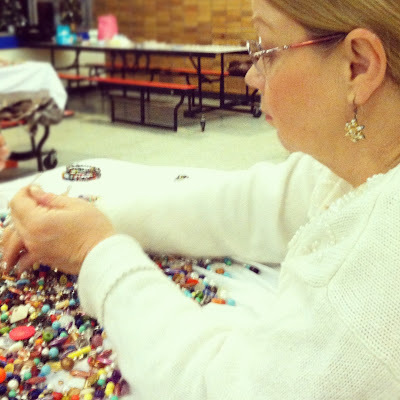 this past friday, my mom and i went to a "bead bash" that a local jewelry maker held as a fund-raiser for an elementary school. participants paid one fee and made all of the bracelets and necklaces that they could in 90 minutes. there were over 500 pounds of beads on the tables! i have never seen ladies beading so fast in my life. we had a ton of fun, and i walked out of the bead bash with 9 bracelets! 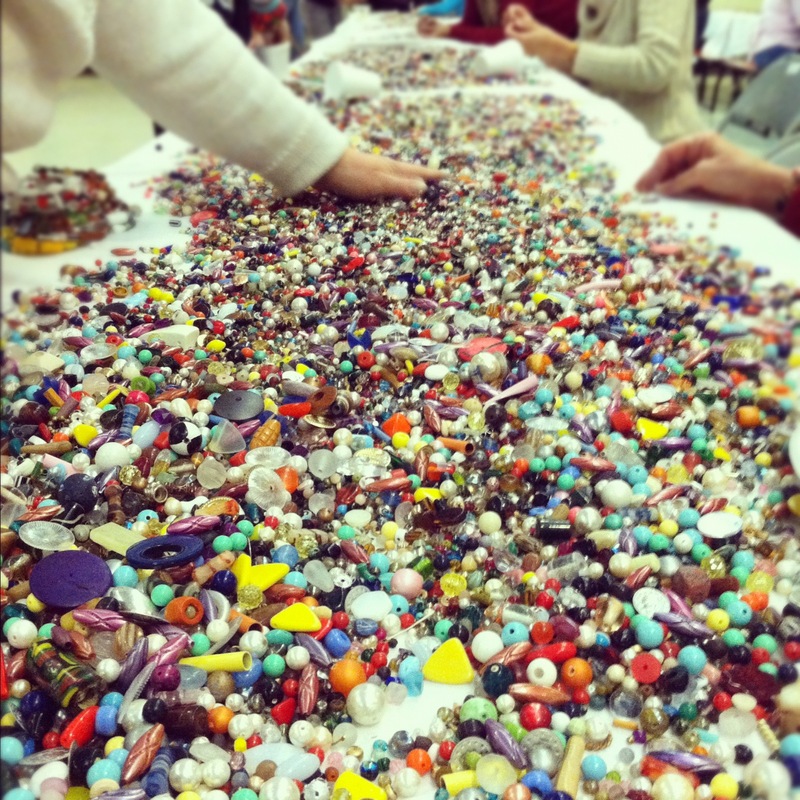 I can't believe we had a strategy to go to a bead making fun-raiser. But it worked. I have taken mine apart to arrange them is some pattern. No success. Have you ever tried playing with beads with a Nade around? Will try again when he is sleeping. 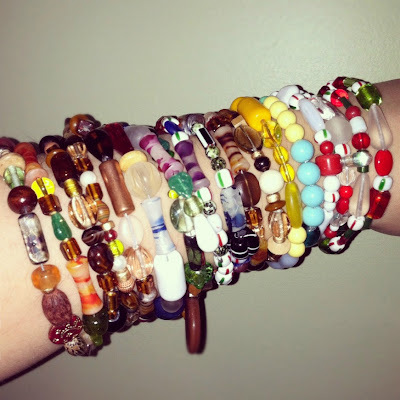 mama, i had to laugh thinking about our strategy for the bead bash! 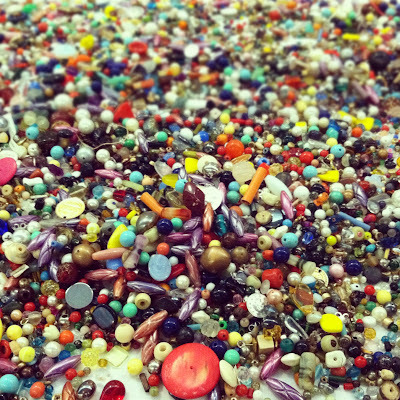 i can't wait to take mine apart and make them into earrings. i imagine that it would be hard to do the beading with nade around. he would have fun chasing all of the beads around the house!